Me: Where would you like to go for dinner? Me: No, WHERE should we go? He’s actually saying his favorite restaurant’s name but all I hear is ‘wings’ because that’s all he’s ever had there and let’s face it, it’s all he eats, lately. We struck a deal. He picks up takeout from my favorite Italian restaurant on his way home from the butcher. Done. I could have requested 100 foot rubs and a pair of diamond studs and he would have agreed because the man had one thing on his mind….yep, you guessed it. Wings. He’s VERY picky about his source of wings. It’s a small butcher a few miles away. 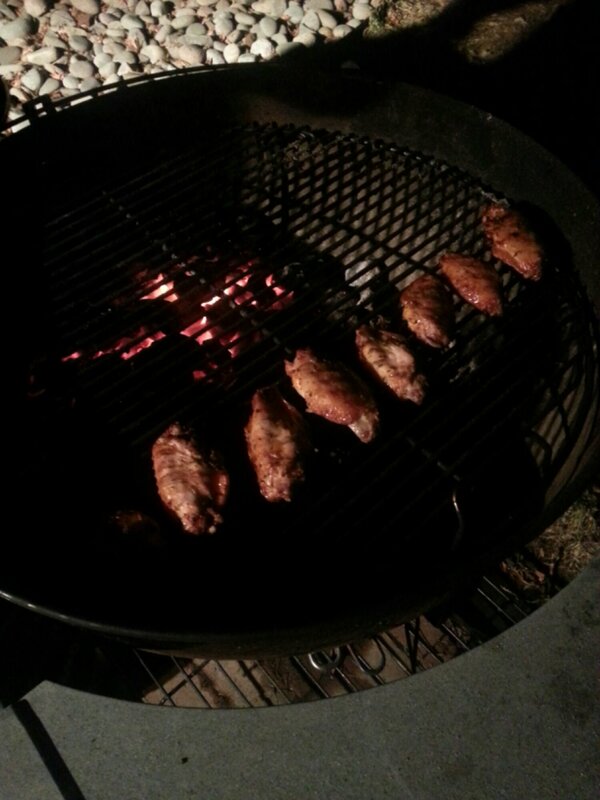 The wings come already marinated. A quick sniff test tells me it’s vinegar, olive oil, red pepper flakes, parsley and garlic but I can’t be sure. 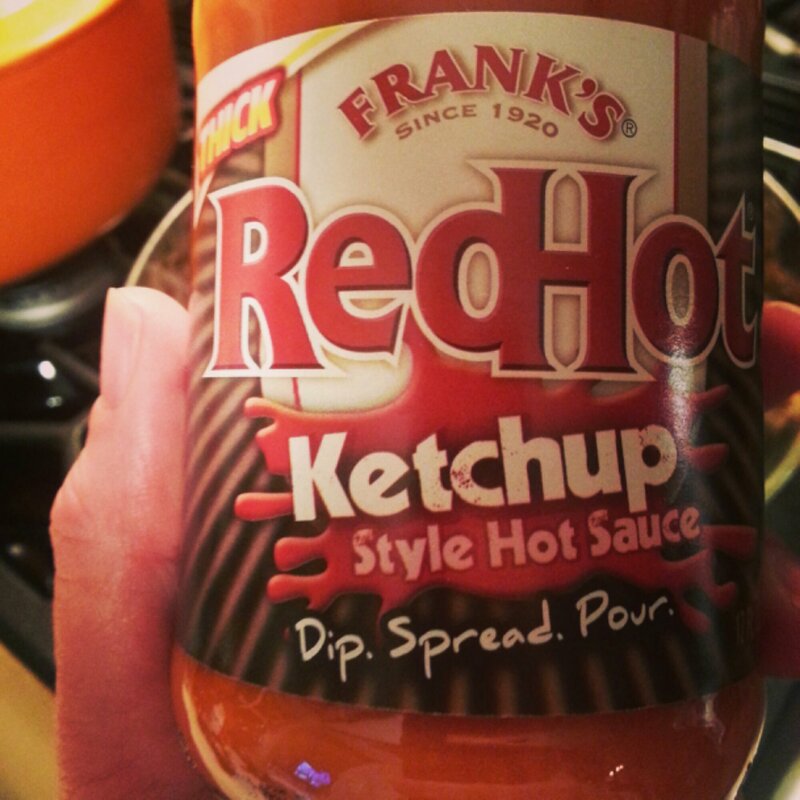 It has almost a sweet yet spicy aroma. Maybe some sort of sweet chili oil? It really doesn’t matter because we often start with plain wings and he claims they’re just as good. It’s all in the cooking method, says Stevo. Charcoal grill is the only type of grilling for the Noel’s. He uses regular charcoal and these little buggers (instead of lighter fluid). 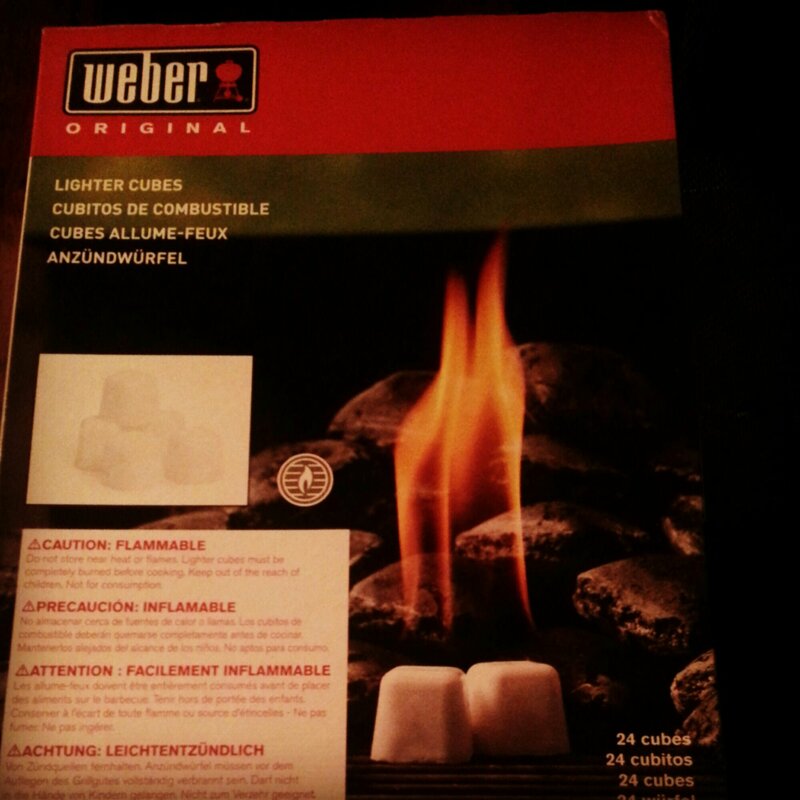 Use three Weber cubes and create a pyramid of coals (about 50). 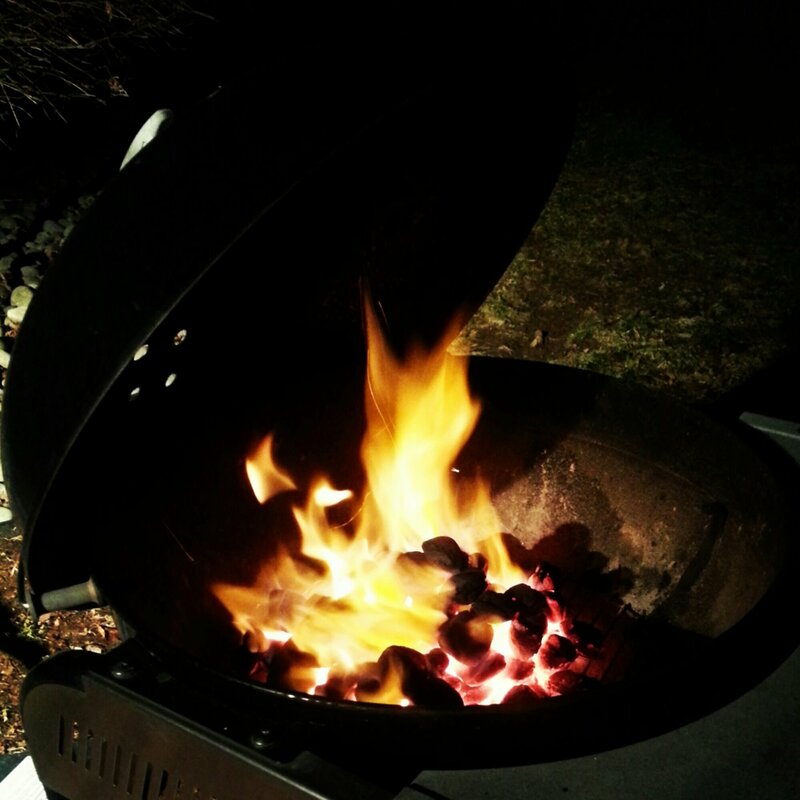 Light it up and let it go until the coals are white hot. Push the coals to one side of the grill and place wings on the other side (indirect heat… Don’t be alarmed if your grill temp reaches 500°. It’s not that hot on opposite side of the grill). 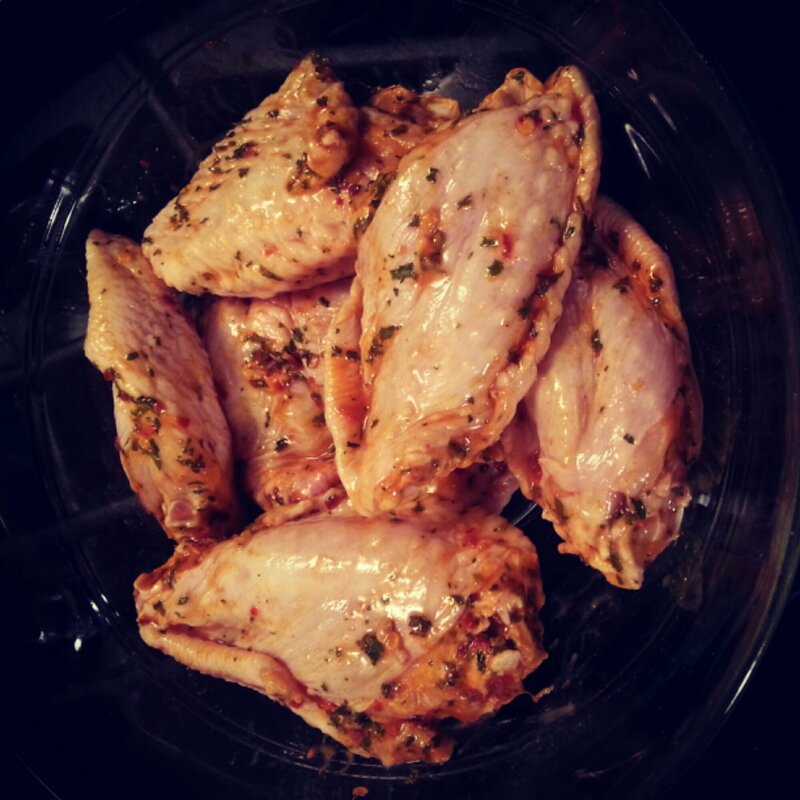 Be sure to spray the grill grate with high heat cooking spray or vegetable oil before adding wings. 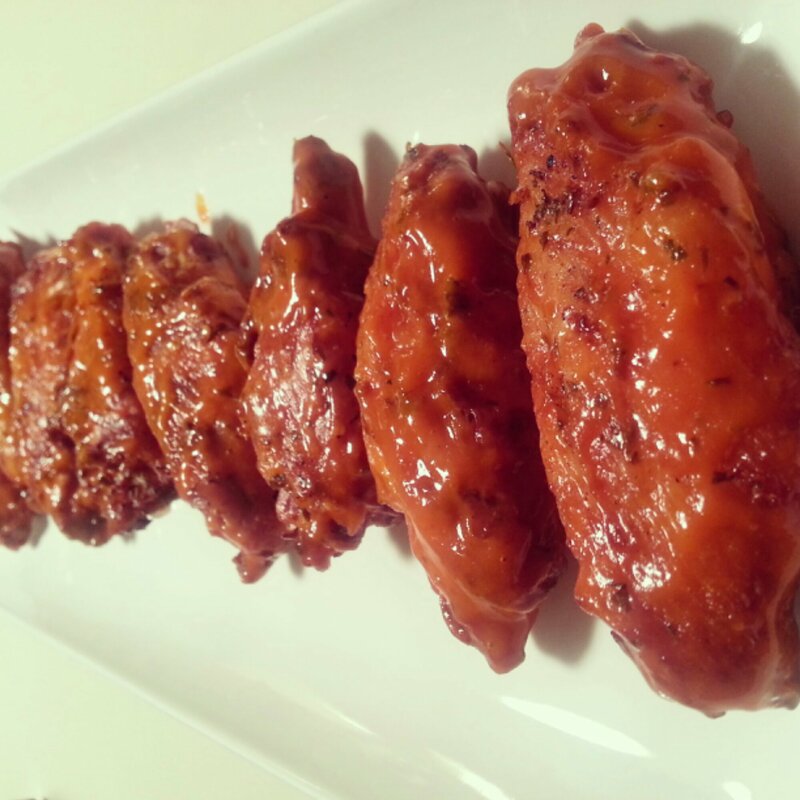 That keeps the wings from sticking to the grate. Cook for 15 minutes, with the cover on (top and bottom vents open). Flip them and cook for another 15. Finally, flip one last time and go for the last 15 minutes. Remove from grill and put the little buggers into a large glass bowl. 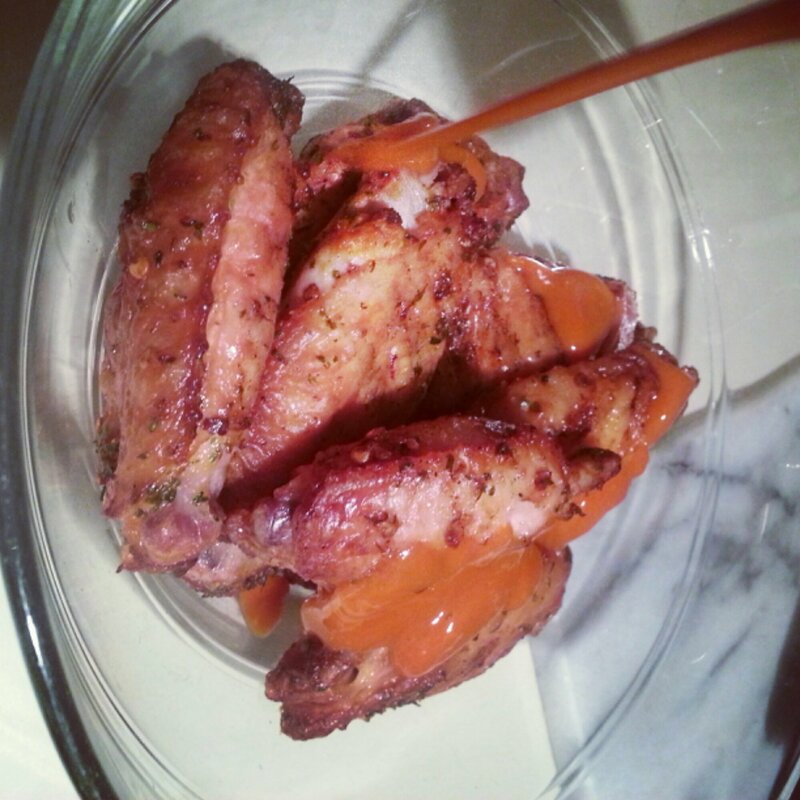 Stevo only cooked 8 so for every 8 wings, you’ll want to add 1/4 cup of this yumminess. 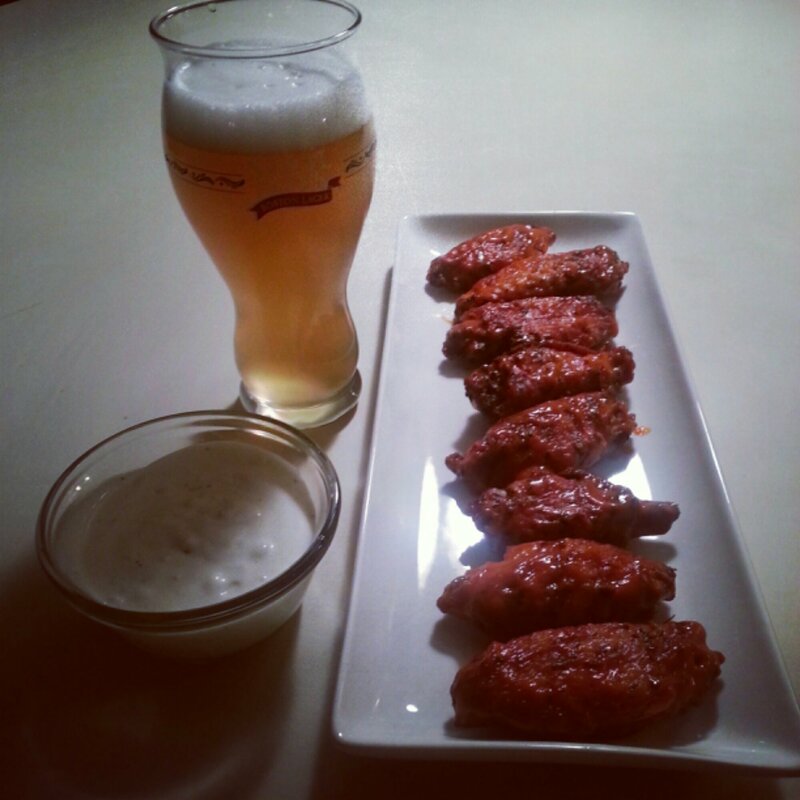 Stevo uses the ketchup style buffalo sauce because it’s thick and won’t drip off the wings. Gently toss with two spoons. 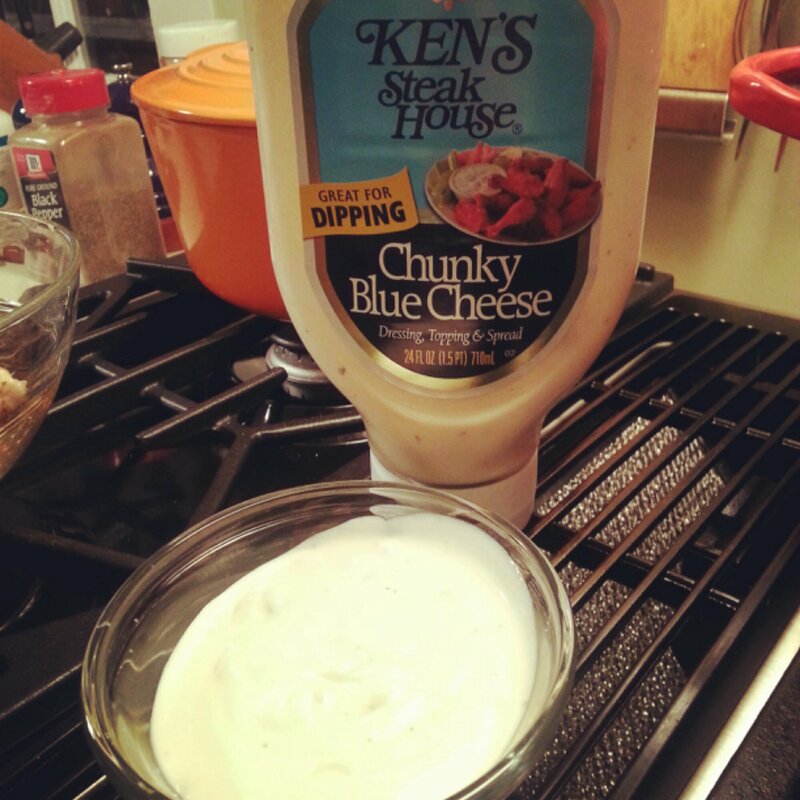 Now, my friends, do as the wing king does… Pour some blue cheese dressing into a bucket (errrr, ramekin), pour a beer and head straight for the couch.